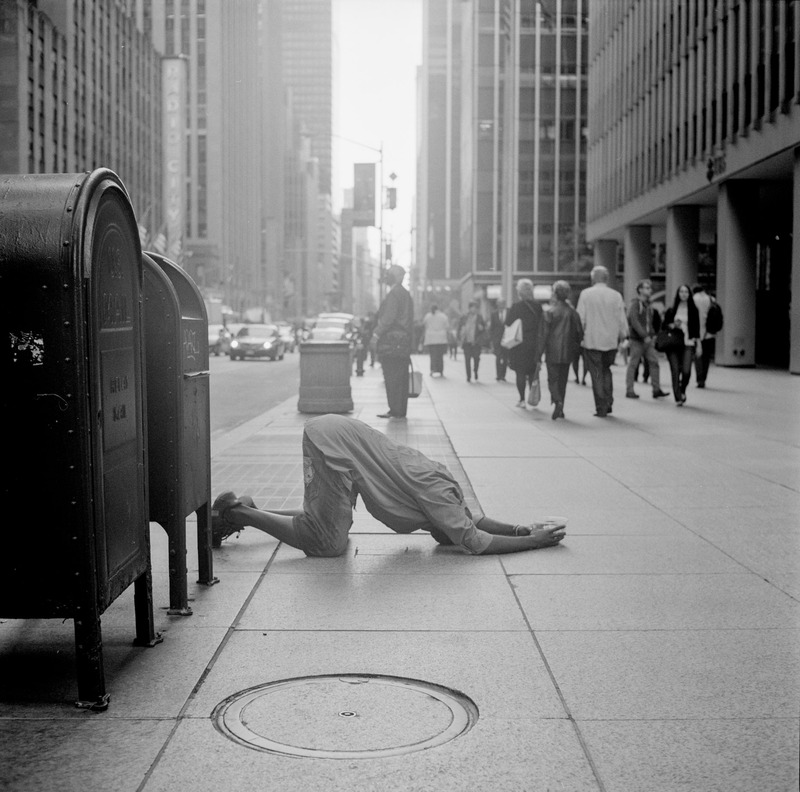 A black and white street image of a man praying in the streets of Midtown Manhattan, New York City. ‘Praying for Money’ brings together aesthetic prowess with political intent: on the wide streets of Manhattan, flanked by the modernist monuments to capitalist ambition, a desperate homeless figure spreads himself across the pavement, as if in a position of religious devotion. As he extends a plastic pot for spare change into the street, hordes of people pass by without even a glance. Shot in black and white, with a slight sun-haze, the print is at once beautiful and filled with sadness: a powerful reminder of the underside of New York’s shiny appeal.